I had a big stack of books all set to read once I reached this point of my treatment / recovery: textbooks, novels, history, Latin, et bleeding cetera. Yes, let’s have a good big laugh at my planning. I am not much in the mood for new books. The idea of cracking “De bello gallico,” or Thomas Pynchon’s new novel, or the pre-calc book my student assistant very thoughtfully provided for me, makes me utterly apathetic. I managed to read a science-fiction novel, and the first half of “Little Dorrit,” and I am afraid that’s about it. I was fumbling around the shelves the other week and my hand fell upon Helene Hanff’s “84, Charing Cross Road.” I devoured it, for the thirty-fifth time. It’s a charming little epistolary (!) 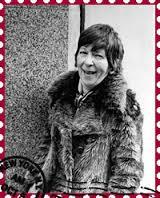 novel in which Helene enters into correspondence with a little London bookstore back in the early 1950s. Her style is chatty and wise-guyish, and the bookseller’s letters are starchy and informational. They get to know one another. She gets to know everyone in the bookstore. She sends gifts of food (rationing was a grim fact of life in England in those days), and talks about Isaak Walton and John Donne as if she knows them personally, and the bookstore staff send her snapshots and tablecloths and – upon occasion – the books she orders. If you haven’t read it – well, it’s a gem. In the sequel, “The Duchess of Bloomsbury Street,” Helene finally goes to London (in 1971) and stays for about six weeks, and keeps a detailed travel diary. This book was never so much a favorite of mine as “84 Charing Cross”; it seemed perfunctory, tacked-on. Now I have read it twice more, and I have changed my mind. This book is a minor masterpiece of travel literature. It works under one simple premise: if you dream of visiting a place for long enough, the place you dream of will be there waiting for you when you finally get there. There will be all kinds of U-turns and surprises, but at the end of the day, you will have discovered your dream. Helene’s descriptions of London are peachy. Her observations are wry. She is unexpectedly wise. (She notes, for example, that you could take any block of a London suburb and plop it down into Queens or Brooklyn, and no one would be the wiser. You could never, however, get away with substituting a block of downtown London with a block of downtown New York.) Her descriptions of her traveling companions are poifect. She is irascible and sometimes unhappy and disappointed. It’s one of the truest travel books I’ve ever read. Put this on your reading list, kids. Honfleur is a dour little fishing port with boggy streets and old sad-looking houses. Satie’s childhood home has been converted into a very neato little museum, good enough to be featured by Rick Steves on his excellent European travel TV show, but once you’ve seen the museum – as Partner and I quickly realized – you’ve seen the shank of the town, and the best thing you can do is bid Honfleur a modest au revoir. Except that one little detail caught my attention: a life-sized plastic cow in the visitor center, with a bande dessinee painted on the side. (Two Rick Steves-type comments: Normandy is a farm region, so the cow motif is everywhere, and Partner begs me to remind everyone that the restroom in the Honfleur visitor center was the most toxically horrible he ever came across in Europe.) Anyway, the comic strip on the side of the cow depicted Erik Satie and Honfleur’s other favorite son, humorist Alphonse Allais, grabbing one another’s chin and singing a little children’s song. Then one slaps the other on the cheek, very hard (I have no idea if this is part of the children’s song or not) and runs away, leaving the other in tears. I was so baffled by this that I don’t even remember which one does the slapping and which one runs away. 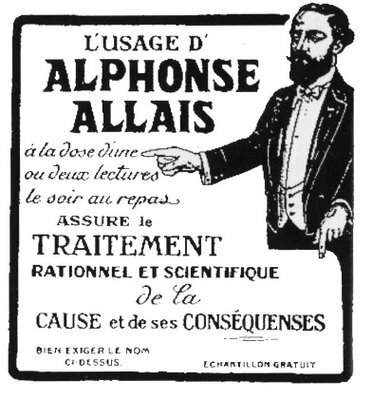 This led me to Alphonse Allais, whose “oeuvres anthumes” I purchased on an appropriately soggy day in Paris about a week later. (“Anthumes” is meant to be a cute parallel to “posthumes,” meaning “posthumous” – see, I bought the stuff he published while he was still alive, get it?) It turns out that Allais was an essayist / journalist / humorist in a way that no longer really much exists. (If you can imagine the New York Times’s Gail Collins without the politics, or “CBS Sunday Morning”‘s Bill Geist without the peripatetic folksiness, you’ve almost got it.) Allais created characters and situations and wrote about them for a page or two. Generally there’s a punch line. If the characters or the situations amused Allais, he revisited them. He was, in a word, a feuilletonist. Do they exist in American literature? Did they ever? Most assuredly. It was a late 19th / early 20th-century thing to be and do. Mencken was a feuilletonist, as were Don Marquis and H. Allen Smith and Harry Golden. See? You haven’t been reading those guys recently, have you? But it’s not because they’re not entertaining or that they don’t write well; it’s only that the style has fallen out of fashion. Allais had the famous dry Norman sense of humor, the “pince-sans-rire” (“pinch without laughing” – basically, “tell a joke all the way to the punch line, but tell it so seriously and drily that no one is sure if you’re joking or not.” Isn’t French neat to be able to put all of that in three words?) Satie used pince-sans-rire all the time in his music, writing pieces of fantaisiste music with titles like “Dried Embryos,” and ending them with long strings of Beethovian tonic-dominant-tonic chords. Allais needs to be translated for a modern American readership. Now who could do something like that? Partner and I ride the Providence trolley to work in the morning. He takes the trolley all the way to his office; I get off before him, on Wickenden Street, and walk about 15 minutes to my office. But we’re almost always together on the trolley. The drivers and the other passengers know us as a duo, and are always confused when they see us once in a while by ourselves, one without the other. A while back, Partner was riding by himself one morning when another passenger leaned forward and asked in a whisper where I was. “He’s at the doctor,” Partner said. So Partner comes home and repeats this story to me, and I’m glowing with excitement. I’m someone’s idea of a literary character! Here, let me think: a nice kindly older man, with a sweet expression! 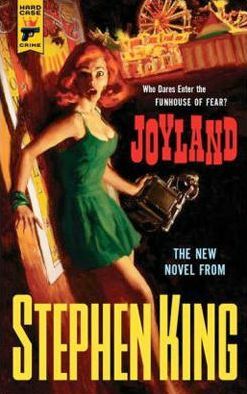 I sent for a copy of “Joyland,” and read it with some interest. Well, kids, let me disabuse you first of all: this book is not Stephen King’s best work. It’s a murder mystery, with a supernatural overlay (of course). There’s a murder, and an obvious suspect. Naturally the murderer is not the obvious suspect. But I didn’t care so much about the plot. I only wanted to find the character Trolley Passenger thinks I resemble. I certainly don’t remind her of the narrator; he’s twenty-one years old, six feet four, and never really described physically. Nor am I his friend Tom, who’s the same age and described as “stocky.” Reader, I am not stocky. I’m assuming (because I’m thin, and wear a trilby) that I remind her of Description One. How flattering! Especially since (spoiler alert!) I turn out to be the killer! Unless she thinks I look like Description Two. In which case, to hell with her. She roared with laughter. She, of all people, knows what I mean. Apollonia is the world’s most tragically obsessed Twihard, and would happily pluck a leftover egg-salad sandwich out of the garbage and eat it, if there were any chance it had been gnawed on by Robert Pattinson. It goes without saying that she knows the Stephenie Meyer books by heart, the way Islamic clerics know the Koran. I could go on. Do Tove Jansson’s Moomin books count as Young Adult? Parts of them skew a little young (even for me! ), but I love them anyway. In describing a fairy-story which they think adults might possibly read for their own entertainment, reviewers frequently indulge in such waggeries as: “this book is for children from the ages of six to sixty.” But I have never yet seen the puff of a new motor-model that began thus: “this toy will amuse infants from seventeen to seventy”; though that to my mind would be much more appropriate. Is there any essential connexion between children and fairy-stories? 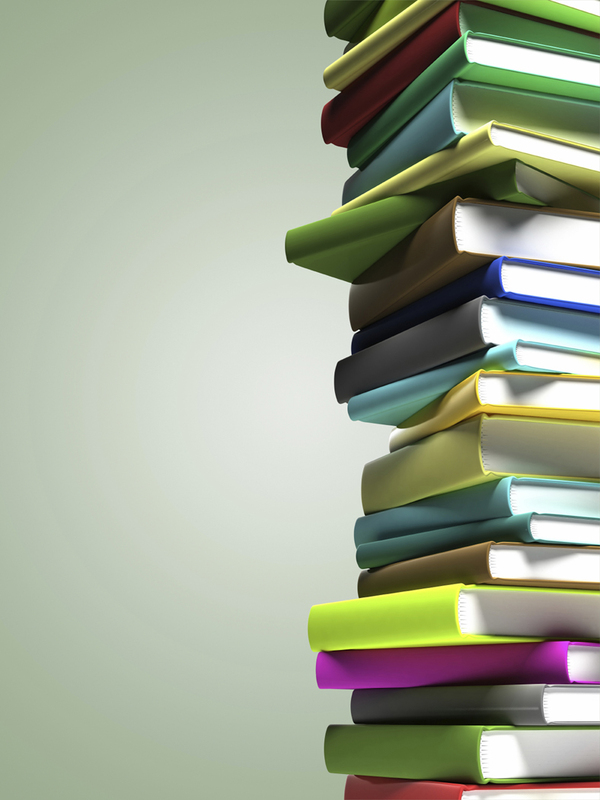 Is there any call for comment, if an adult reads them for himself? . . .
As of this writing, I’m still pretty bouncy: I’m working, and living a normal life, and walking to work, and eating relatively normally. In a month or two, however, I will be pretty house-bound: the radiation and chemotherapy will make me tired and achy, and there are dozens of other unpleasant side effects which may manifest also. 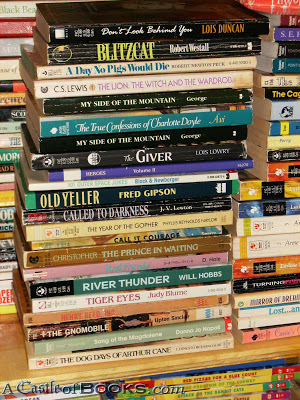 So I am pulling together a stack of books to read as the year darkens and as I become less active. I pre-ordered Thomas Pynchon’s “Bleeding Edge” from Amazon, and got it a few weeks ago. I’ve read a few pages, but Pynchon’s a difficult read, so he’ll be good for a dark November day. Also a book of stories called “Sesqua Valley & Other Haunts,” recommended to me by my Internet friend Flora Gardener in Ilwaco, Washington. The author, Wilum Hopfrog Pugmire, is an acquaintance of hers, and the stories are part of H. P. Lovecraft’s Cthulhu mythos, so I’m looking forward to them. Also Rick Riordan’s latest “Heroes of Olympus” installment, “The House of Hades,” which arrived in the mail only the other day. Okay, it’s young-adult, but who cares? Riordan writes very well, and it’s an entertaining story. I had a hard time putting it down after I unwrapped it; I made it through the first twenty pages, just enough to see that it’s good, and sighed, and put it down. Also a pre-calculus book given to me by my student employee Ralph, who listened to me complaining that my Coursera calculus course was too difficult for me, and realized immediately that what I needed was pre-calculus. When I’m sick of fiction, I can relax with some numbers and formulae. Also: “The Power of Now,” by Eckhart Tolle. My friend Joanne sent it to me, and I’ve browsed it, and it’s not bad. If it teaches me to live in the moment and relax a bit, then I will have really learned something. Also it’s probably time (as Flora reminded me a few days ago) to reread E. F. Benson’s “Lucia” books. I first read them in college, and fell desperately in love with them. I haven’t reread them for years. I’m long overdue. Also: I can listen all the music I’ve collected over the years. And I can finally watch all the pre-Code movies I have on the DVR. And . . .
I’m not saying this will be fun. But I think I’m looking forward to some downtime, and some serious (and not so serious) reading. In Lovecraft’s story “The Haunter of the Dark,” a man on the East Side of Providence (where I live) sees an oddly-shaped building on Federal Hill in the distance. He walks over to see it – and awful things ensue. In “The Shadow Over Innsmouth,” a New Englander takes a bus to a little Massachusetts coastal town and finds that its inhabitants are not quite human. In “The Dunwich Horror,” some professors from Miskatonic University (whose campus is, of course, in witch-cursed, legend-haunted Arkham) seek out a horrible invisible presence somewhere in central/western Massachusetts. 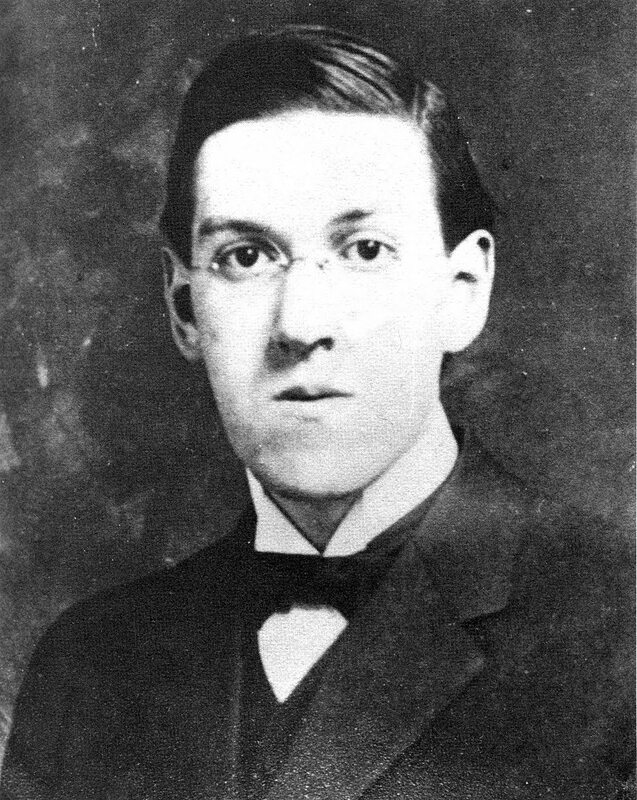 Lovecraft believed in something he called “cosmicism.” In brief: the universe is utterly incomprehensible to human beings, and is in fact mostly inimical to them. Almost all of his stories show human beings as foolish pawns, always on the verge of total destruction. My favorite Lovecraft stories involve the Great Old Ones. They’re kind of hard to explain, because they’re supposed to be mysterious, but anyway: the Great Old Ones are extra-dimensional beings lingering right off to one side of our reality. They are very powerful, and they are just waiting to get back into our world. One is Cthulhu, a gigantic horrible octopoid god-monster; another is Yog-Sothoth, a mass of glowing lights. There are many others, like Hastur and Nyarlathotep and Azathoth (who “blasphemes and bubbles at the center of all infinity”). It’s only a matter of time before they reassert themselves here, and once they do – that’s all, folks. Recently I picked up a little book called “Philosophy: A Discovery in Comics,” by a Dutchwoman named Margreet de Heer. It’s a nice mini-summary of Western philosophy, done mostly through illustrated biographies of major philosophers like Socrates and Plato and Aristotle up through Erasmus and Spinoza. She does a nice little summary of George Steiner which makes me want to learn more about him. He’s a deeply intelligent man, a polyglot who knows everything and has memorized everything, and who has made some very intelligent pronouncements about the modern world. Steiner says that all of us should have a suitcase packed at all times. We need to be ready for the worst; we need to be ready to move along. We need to acknowledge to ourselves that nothing lasts forever, and that sometimes terrible things happen, and when they do, we have to get away, the quicker the better. He also speaks (very eloquently) about the need to memorize things. Once you’ve memorized something, it can never be taken away from you. Who cares if they burn the books? You have the books in your head. The world is a wonderful and perilous place. So it’s probably a good idea to have a suitcase packed.